Johan Helmich Roman - 12 Sonatas for Flute and B.C. Johan Helmich Roman (1694‐1758) is called the 'Father of Swedish music' and also the 'Swedish Handel'. And with good reason, as his instrumental works match Handel�s chamber music in charm, virtuosity, formal structure and tunefulness. In fact Roman met Handel during his stay in England, and Roman�s admiration for the master is evident. 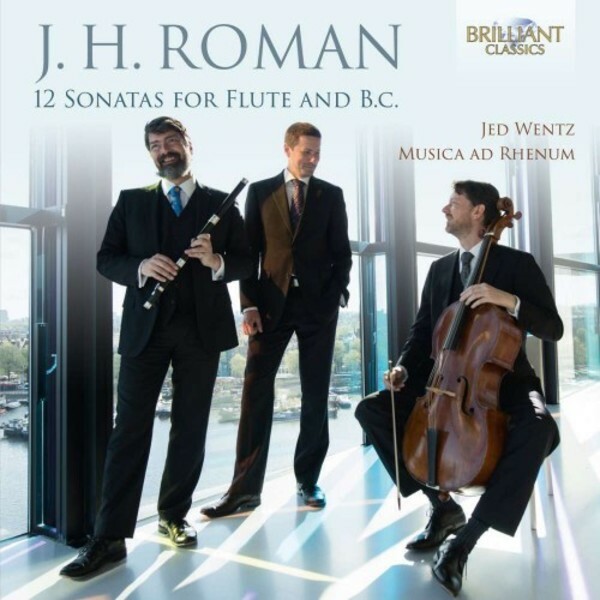 There is no better advocate for these somewhat neglected works than Jed Wentz and his musical companions of Musica ad Rhenum. Not only are they thoroughly aware of the stylistic details of the music and its performance, but they also hugely enjoy themselves playing these flute sonatas, written �for the advanced dilettante, well versed in style and technique� (as Roman himself describes it). Excellent liner notes by Jed Wentz (a fine player as well as an eminent scholar).